Paint and brushes of different sizes. 1) First prepare the glue, by mixing up the powder with water. You need to respect the quantities indicated on the notice and mix strongly to avoid lumps. 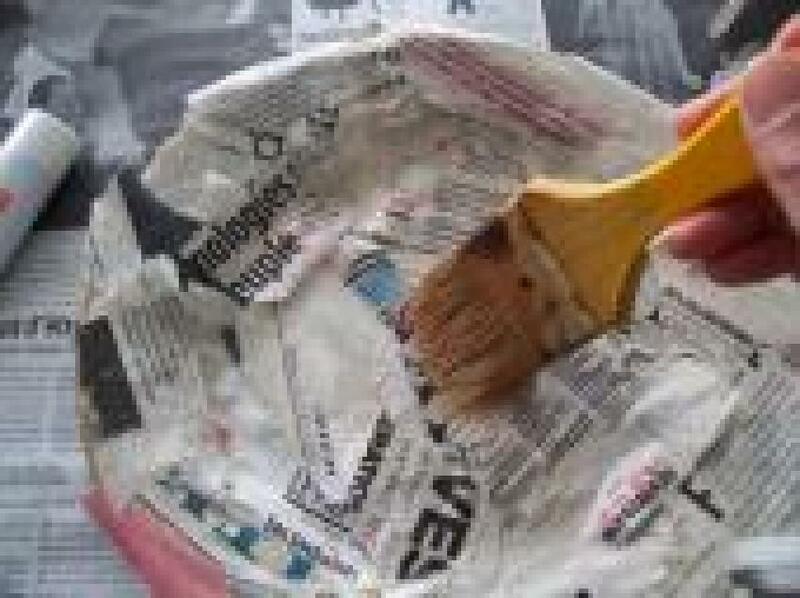 2) Cut the newspaper into small strips. Cover the plate one first time with those bands. Be careful to cover each centimetre of the plate. Brush glue all over the first layers of newspapers, and then proceed similarly with the second layer of newspaper strips. Repeat the “operation” until you reach 5 layers of newspapers. Be careful to properly apply the glue for the plate to be flat, at the end. Let your newspaper plate dry for at least five hours. 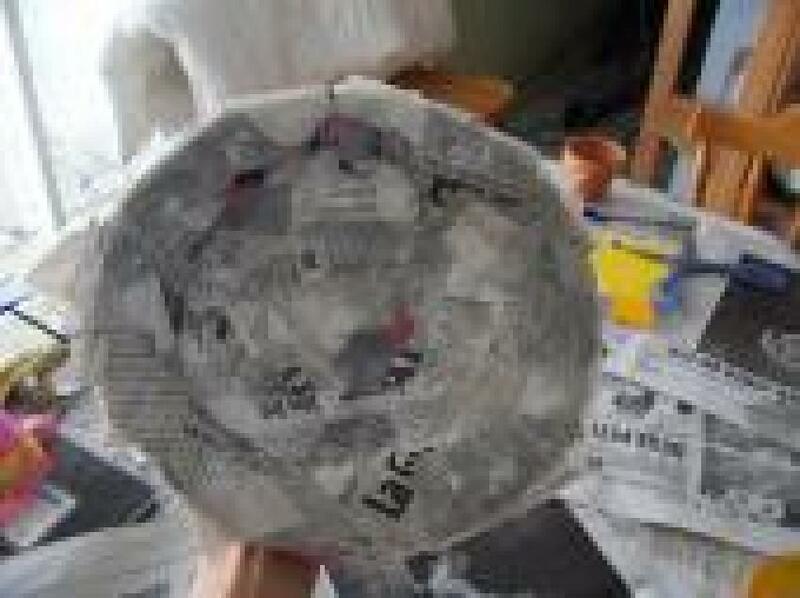 3) Once the newspaper plate is dried, stick it out from the real plate. Help yourself out with a knife if necessary and make equal the edges for the newspaper plate to be the most possibly round. 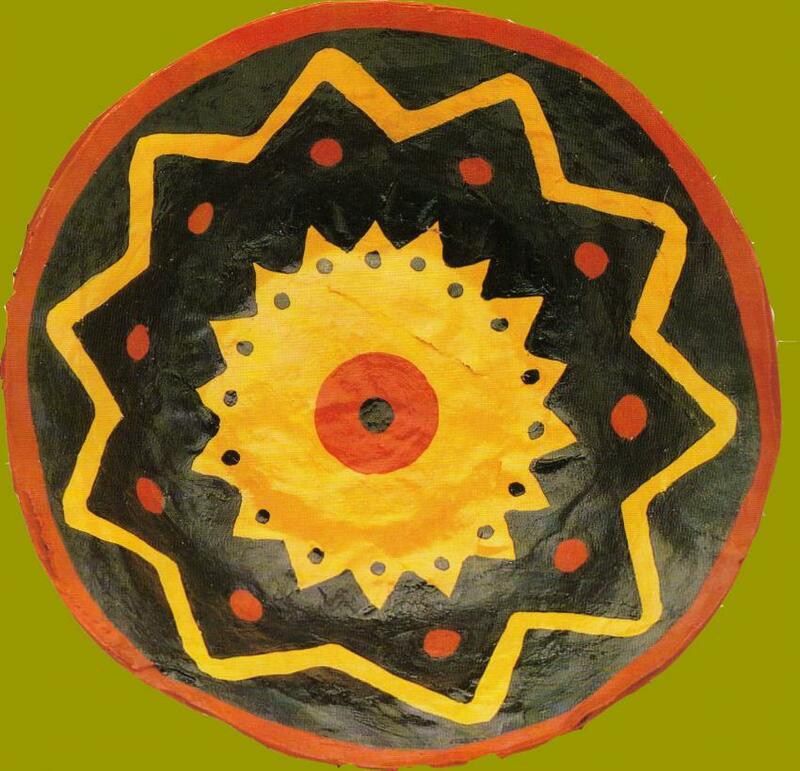 4) Now, let go your imagination and fantasy when decorating this special plate. You can start by tracing out the outlines of your drawing and then fill in the different spaces starting with the lightest colours. For sure your mom will love this original plate in which she will put some petals of flowers, for example!